With India\'s growth rate projected to drop slightly from 7.5 per cent to 7.3 per cent in 2015, the IMF today recommended the country to launch next phase of economic reforms and improve its business climate for achieving faster and more inclusive growth. \"In India, while several policy actions have been taken recently, further steps in relaxing longstanding supply bottlenecks, especially in the energy, mining, and power sectors, as well as labour and product market reforms, and improving the business climate are crucial to achieving faster and more inclusive growth,\" the IMF said. With India's growth rate projected to drop slightly from 7.5 per cent to 7.3 per cent in 2015, the IMF today recommended the country to launch next phase of economic reforms and improve its business climate for achieving faster and more inclusive growth. "In India, while several policy actions have been taken recently, further steps in relaxing longstanding supply bottlenecks, especially in the energy, mining, and power sectors, as well as labour and product market reforms, and improving the business climate are crucial to achieving faster and more inclusive growth," the IMF said. In its Asia and Pacific Regional Economic Outlook Update released in Peru on the sidelines of the annual fall meeting of the IMF and World Bank, the IMF has projected a slight drop in India's growth rate from 7.5 per cent to 7.3 per cent in 2015 and maintained the same growth rate of 7.5 per cent for 2016 as it projected in this previous report in April. "GDP is expected to grow at 7.3 per cent in 2015 (0.2 percentage points lower than in the 2015 April WEO), rising to 7.5 per cent in 2016 (unchanged from the 2015 April WEO)," the report said. In India, the ongoing economic recovery is underpinned by robust domestic demand. "With the revival of consumer and business sentiment, the incipient recovery of investment is expected to contribute more to growth going forward," it said. 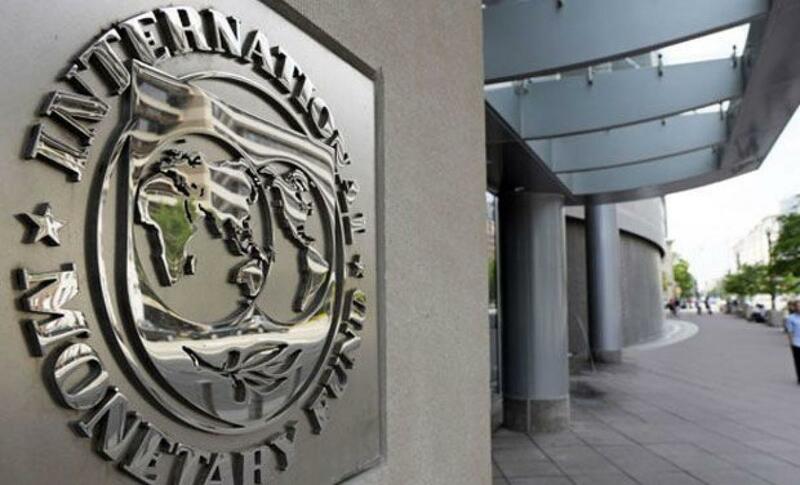 "In addition, higher public infrastructure investment and government initiatives to unclog raw material linkages and support the lending capacity of Indian banks should help crowd-in private investment," the IMF said. "Although lower oil prices are supportive of domestic demand, weakened exports as well as headwinds from weaknesses in India's corporate and bank balance sheets will weigh on the economy," it added. In India, the IMF said the growth recovery has continued, supported by a pickup in domestic demand, on the back of strengthening industrial production and fixed investment. Lower global oil prices have also boosted economic activity in India and underpinned a further improvement in the current account and fiscal position and a sharp decline in inflation, it said. "As well, forward-looking indicators such as the manufacturing and services Purchasing Managers' Indices (PMIs) indicate improving activity. However, export growth dropped sharply in the first half of 2015, partly reflecting subdued global demand," the report said.